Ash is a psychology and public policy leadership major. Ainsley Ash has never been to Ireland, but the University of Mississippi freshman soon will be on her way there, thanks to a 2018 Fulbright Summer Institute grant to the U.K. While dozens of UM students and faculty have received Fulbright Scholarships and Fellowships over the years, Ash, a psychology and public policy leadership major from Meridian, is the first from UM to receive this type of Fulbright grant. The highly selective program chooses college freshmen or sophomores from the U.S. to study for a summer at select colleges in the United Kingdom. In a monthlong seminar called “Education for Transformation at Queen’s College in Belfast, Northern Ireland,” Ash will engage in lectures, seminars and study visits to examine methods of driving educational change. 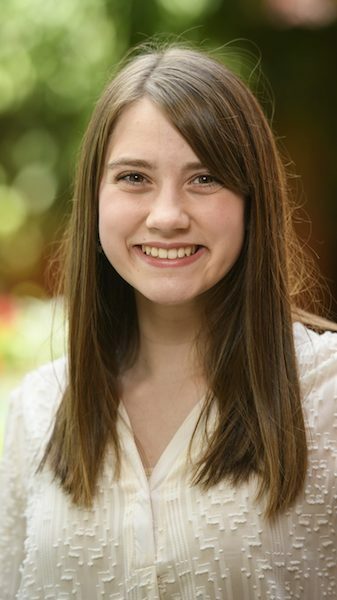 “Ainsley invested many hours writing and revising her application,” said Tim Dolan, director of the university’s Office of National Scholarship Advisement. “She chose a seminar that will provide her with useful tools that will allow her to do comparative studies of education in Ireland to help her better understand the needs of students in Mississippi. Students in this Summer Institute will learn about Northern Ireland in terms of its political, economic and cultural relationships within the U.K., and with the Irish Republic and the world. UNESCO leaders facilitate sessions on curriculum in divided and conflict-affected societies, engaging participants with controversial political issues, models for promoting intercultural education and maximizing intergroup contact through schools in divided societies. Ash vividly recalls how she received notification of her award. “A few days after my interview, I checked my emails in bed after waking up,” she said. “The first email I clicked on was from Fulbright saying I had been selected to participate in a Fulbright Summer Institute. Ash serves as an ambassador to the Sally McDonnell Barksdale Honors College and is involved with the Wise Women of Oxford, College Democrats and the International American Student Alliance. In March, she helped organize a student-led trip to Washington, D.C., for the March for Our Lives. This summer, she will also be attending the N.E.W. Leadership program with politically diverse young women across the state at Mississippi University for Women. Ash plans on a career working on education policy in Mississippi. Ash’s mother is Michelle Ash of Meridian. Established in 1946, the Fulbright Program is the flagship international educational exchange program sponsored by the U.S. government and is designed to increase mutual understanding between the people of the United States and the people of other countries. The primary source of funding for the Fulbright Program is an annual appropriation made by the U.S. Congress to the U.S. Department of State, Bureau of Educational and Cultural Affairs. Studying abroad is one way the university honors its commitment to educating and engaging global citizens and supporting experiential learning, two core established in the university’s new strategic plan, Flagship Forward. Students interested in applying for Fulbright and other competitive awards that fund study abroad are encouraged to contact Tim Dolan in the Office of National Scholarship Advancement at tadolan@olemiss.edu.